A TRALEE family will take to the skies next month — only to quickly fall from it — as they raise funds for a great local facility. 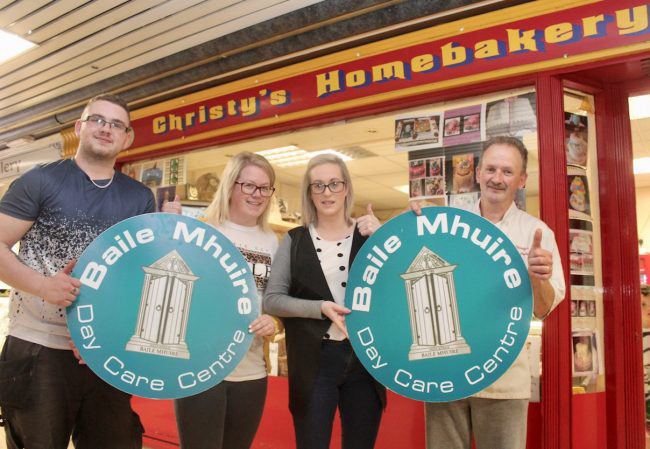 Christy Lynch of Christy’s Homebakery in Tralee Shopping Centre will be joined by his daughters Laura and Irene and son Chris in taking a skydive on September 1 in aid of Baile Mhuire Day Care Centre in Balloonagh. Christy’s mom Celia, who passed away last year, really enjoyed using the centre. “Baile Mhuire holds a special place in our hearts as it’s a service that my mom Celia Lynch used and loved,” said Christy, who is originally from Marian Park but now living in Doon. There are 12 people taking part in the Skydive including Christy’s brother Vincent, his niece Catriona, nephews Peter Foran and Mark Lynch and cousin Liz Kelly as well as Joe Daly, Francis Kenny and Katie Parnell. “People said I was mad but I’m looking forward to it now…as long as I’m first out of the plane. I have them all warned that I’m going first!” said Christy. A table quiz on Friday last in Linnane’s Bar was a great success. They are also hosting a charity fitness class at ProFitness Gym in Monavalley on August 11 at 11am where people can come along to the class and make a donation. Baile Mhuire shared a photo.